Salem, OR—Governor Kate Brown today joined state agencies, Early Learning Council members, and legislators in unveiling Raise Up Oregon: A Statewide Early Learning System… , which provides a roadmap for how state and local communities can work together to ensure Oregon’s youngest children can enter school ready to learn. Research shows the first few years of a child’s life have the biggest impact on their future success. The Early Learning Council and Early Learning Division partnered on the plan, which focuses on supporting children from birth to age five and their families. Governor Brown calls for investments in her proposed budget to address the needs of young children and families in housing, health care, child welfare reform, and early learning. Brain science supports the fact that the first 2,000 days of a child’s life, between birth and kindergarten, are the most critical period for human development. However, in Oregon there are 30,000 children from low-income families who don’t have access to preschool, and many working families are struggling to afford quality child care. 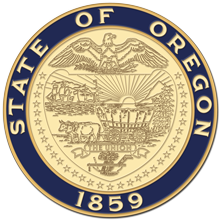 Five state agencies have ownership of different pieces of the plan, including Oregon Health Authority, Department of Human Services, Oregon Housing and Community Services, Oregon Department of Education and the Early Learning Division. In October 2017, the Governor directed the Early Learning Council to develop a prenatal to age five comprehensive state plan.